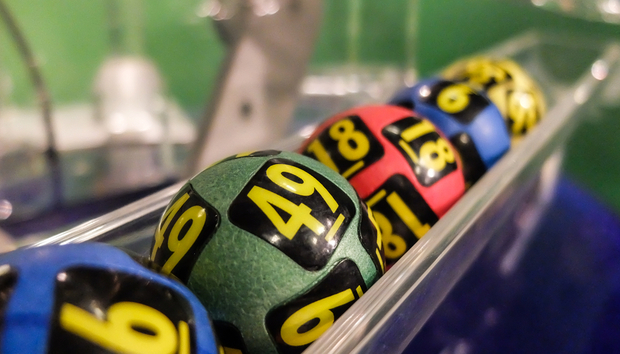 There are probably a few things that you don’t know about the lottery industry. For example, at $300bn annually, it is bigger than the music, video game, and cinema industries combined. But, perhaps even more surprising, is that after being essentially unchanged since the Han Dynasty used a lottery to fund the Great Wall of China, right now it is on the cusp of a revolution. You might ask how an industry that claims 50% of the population as its customers could be in trouble? The answer lies in taking a deeper look at the demographics. Whilst overall lottery sales continue to rise, this masks the fact that the millennial generation has stopped playing almost entirely. To give just one example, a 25-year-old in Germany today is 50% less likely to play Lotto than a 25-year-old was in 2010. Such statistics are mirrored almost everywhere around the globe. So what is going on? The simple fact is that millennials demand an entirely different kind of lottery experience, in much the same way that they have come to demand entirely different taxi (Uber) and hotel (Airbnb) experiences. Much like those industries, lottery is defined by excessive out-dated regulation and the active suppression of competition. This has the short-term effect of stifling innovation. In the long-term, however, it causes creative entrepreneurs to fundamentally re-think lottery, in just the same way that taxis and hotels were re-imagined. To redefine something, you first need to strip it back to its core. For lottery this core has always been about giving the player the opportunity to dream. Realistically people know that they are not going to win the jackpot – but, they just might. This possibility fuels many a lunch-break fantasy of a totally transformed life. Importantly the nature of that dream is different for the millennial generation. Less exciting is the enormous lump of cash that allows them to clear the mortgage, as they can’t even buy houses anymore, and give up work - which they don’t want to do. More exciting, for example, is the possibility to have a once-in-a-lifetime experience, that will live long in the memory and can be shared with their friends. A number of exciting startups such as Omaze are already creating products that, whilst not traditional lottery per se, plug into that millennial dream and offer incredible experiential prizes such as hanging out with A-list celebrities. In the same way that technology has allowed entrepreneurs to disrupt taxis and hotels through the creation of business models that could not have existed before the internet, it also presents the same opportunities to would-be lottery entrepreneurs. At ZEAL investments we are beginning to see teams thinking about lottery in similar ways. Our first investment, The Free Postcode Lottery (FPL), has built its entire business model around the currency of the internet – advertising. In much the same way that Facebook provides a free social network to the user by actually turning that user into the product for advertisers, FPL has done the same by enticing the user with a free lottery. This model is particularly disruptive for the legacy lottery industry as it falls outside of the regulations designed to restrict competition. Because the user doesn’t pay then it can’t be considered gambling, and therefore cannot be captured by the existing regulations. Companies like Omaze and FPL are driving a fundamental change in the lottery industry by going after the core user’s need to dream, in clever and innovative ways that completely bypass what the legacy industry is doing. Instead of making incremental improvements they are taking bold leaps forward. The prize for a successful leap will undoubtedly be huge. « When will South Africa get its first startup Unicorn?